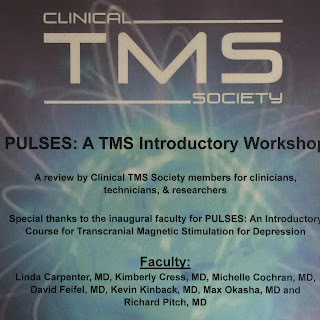 Dr Cochran chaired and spoke at the inaugural PULSES course for the Clinical TMS Society. 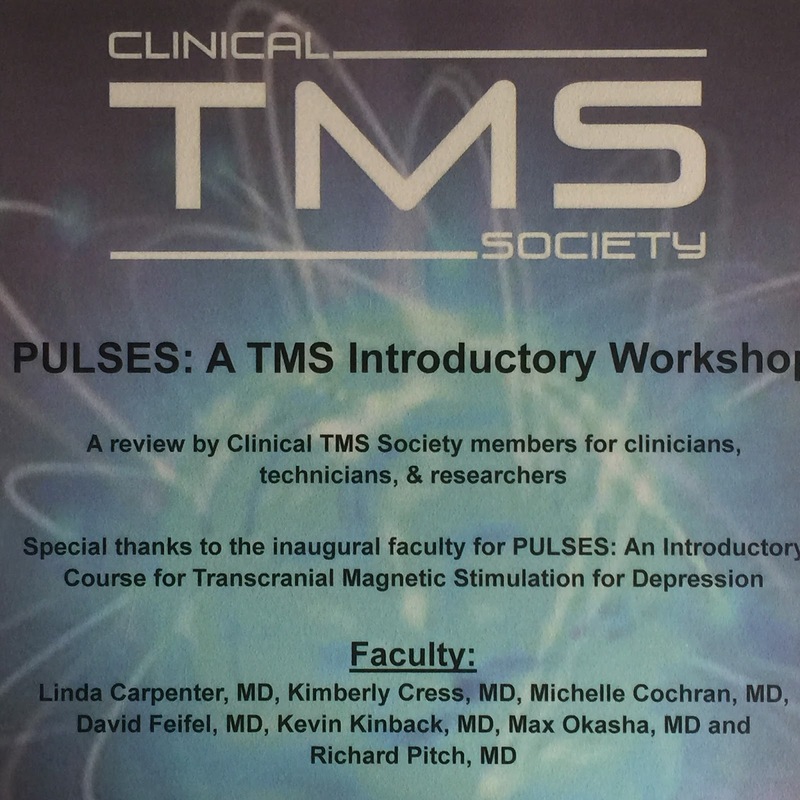 This course is a certificate course to train other physicians on using TMS for depression. This course will be expanded by the society and the plans are to offer it quarterly throughout the US, Europe and other developing parts of the WORLD.